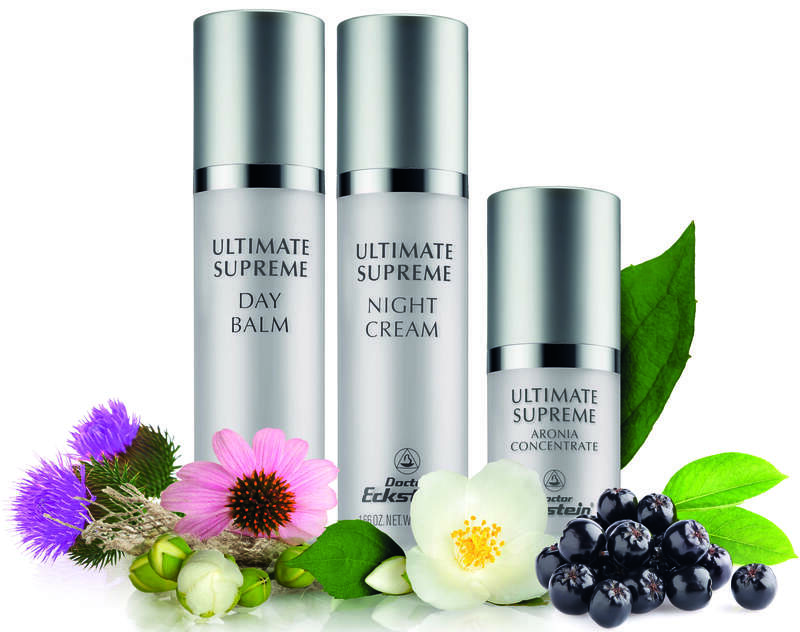 Potent active ingredients and state-of-the-art stem cell technology combined in the Ultimate Beautiful-Ageing care. An antioxidant rich concentrate that provides advanced protection and improves visible signs of ageing. It protects against the effects of everyday stress and environmental influences. This innovative formula supports the skin’s natural function and regeneration. A combination of antioxidants aronia, carotene, botanical Echinacea stemcell extract, troxerutin and tocopherol in a creamy base of soy repair complex. Absorbs quickly for a light and silky smooth feel. Dermatologically tested excellent. This daytime superhero provides intense anti-ageing care against fine lines and wrinkles. The smooth, silky balm combines the benefits of cutting edge science with the gentle effectiveness of high quality natural ingredients. It significantly increases the skin’s ability to retain moisture; helps reduce the appearance of fine lines and wrinkles, and combats the formation of new ones. Highly skin compatible, this balm absorbs easily for a silky soft touch. Contains wax from jasmine blossom, hyaluronic acid, oligopeptides, soy sterols, liposomes, milk peptide complex, Echinacea meristem cell extract, mica, titanium dioxide, vitamin A and E. Dermatologically tested excellent. This ultra-rich, nighttime anti-aging powerhouse provides intense support to the skin’s natural regenerative capabilities. Precious ingredients – optimally dosed – enable truly effective beauty sleep: the rich, smooth cream provides the skin what it needs to look refreshed and revitalized in the morning. Wake up to skin that appears smoother and more youthful-looking. Contains wax from jasmine blossom, Echinacea meristem cell extract, fructose, liposomes, rutin, repair complex, soy sterols, and extracts from milk thistle and tulsi leaf. Dermatologically tested excellent. All products are free of mineral oils, silicone oils and artificial colours. We do not test on animals.